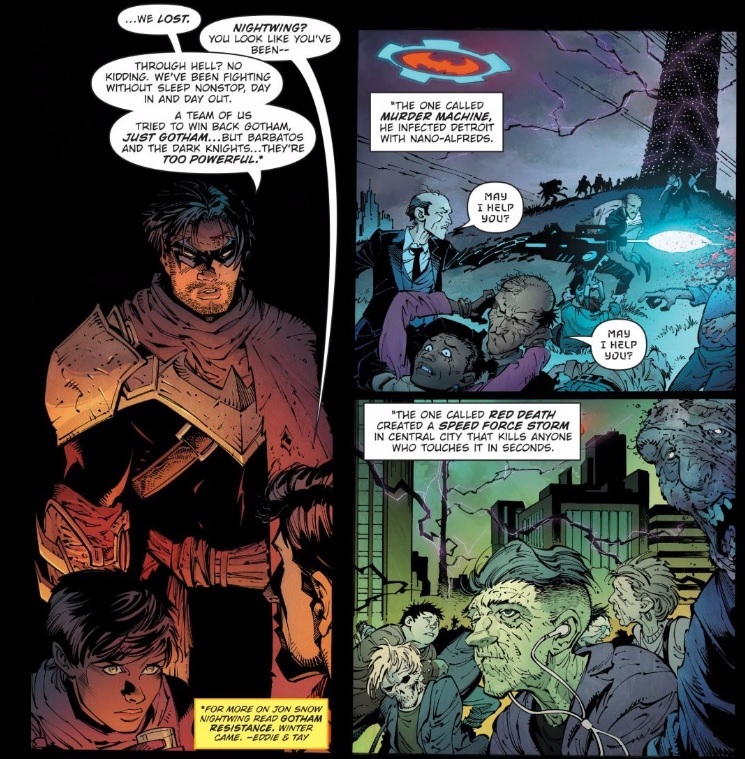 When it was first announced, the concept of Dark Nights: Metal left me perplexed. 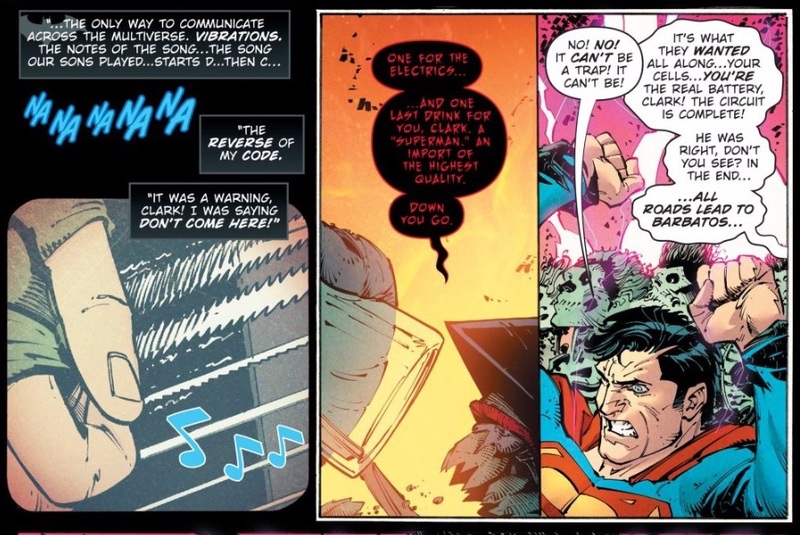 But if you’ve been following along with DC’s multiversal exploits of the last ten years — specifically Final Crisis and The Multiversity — then a heavy-metal rock opera isn’t out of place in the musical vibrations of the Multiverse. Now that the stage has been set, Scott Snyder and Greg Capullo can play in the crazy world that they have constructed. What’s abundantly clear about Dark Nights: Metal 3 is how much fun Snyder, Capullo & co. are having. Snyder’s cheeky character dialogue is referential without being expository — mostly because there’s no time to slow down and explain. With insane visuals like Joker dragons flying above a gothic castle, Capullo gets to let his imagination run wild. Once the story slows down for a bit and the heroes are making their plan of attack in “The Oblivion Bar,” Capullo has a more subtle, but not less impressive approach. On a second read, I noticed his attention to detail as he has Green Lantern and Aquaman’s standoff continue in the background as Robin and Nightwing take focus. In that same panel you can also see the evil Robin lurking in the background before he strikes on the very next page. While I find the Dark Knights interesting — particularly The Batman Who Laughs — I don’t find them all that compelling as forces of evil. I hope that they evolve beyond “being bad is fun,” but it’s not a huge flaw. 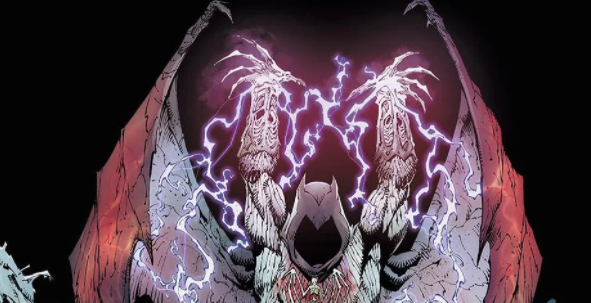 Dark Nights: Metal 3 is the issue that has won me over on this series and I’m excited to see what comes next. What’s wrong with Capullo’s art? In a book so fundamentally flawed as Metal, it is hardly the biggest problem*. But Capullo’s work is probably the most shocking problem. The rest of the issues are udnerstandable by the flawed nature of the very premise (and the terrible editorial it is being written under). But Cappullo phoning it truly is surprising. Who would have thought there would be a day we could call Capullo’s art lethargic? But the worst part is that there is far, far too much Batman. It really undercuts literally every element.